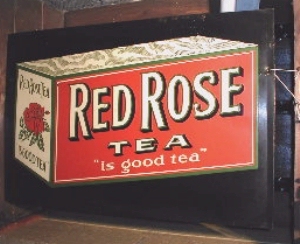 OK, there really is nothing new about tin signs. 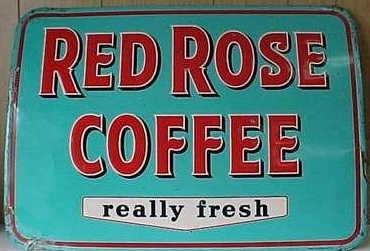 Red Rose doesn't capture the market on tin, but it has put out it's share of simple yet brightly colored signs. I have no clue other than a guess as to which sign came out first but I'll take anyone's advice that might have more insight. I am guessing the whole group came out in the 40's. Maybe some of them are from the 50's. These images have been reduced to thumbnails to save you time in loading the page. Click each one to see the actual images. Once the large one has been viewed, click "Back" on your browser to return to this page. 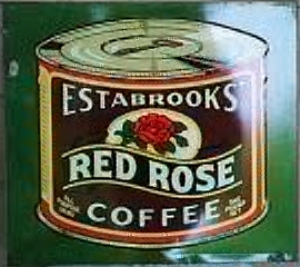 An old Estabrooks Sign This "3D" effect sign mounted on the side of a building This one says that it is packaged in aluminum, Yummy! OK, is this a vertical sign or a push bar? I believe the yellow and orange signs are older than the blue green signs. I think the blue greens come from the 60's, what do you think? 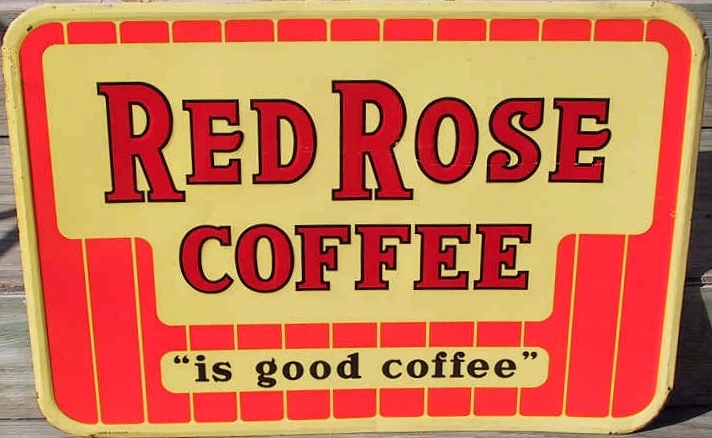 Red Rose wasn't just about tea... ... the coffee was good too! 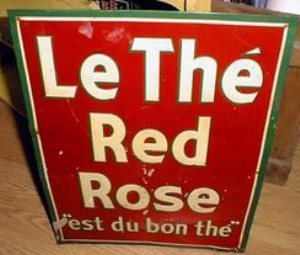 Don't forget the French speaking population of Canada... ...that would be a BIG mistake if you did! What is a push bar? It's the metal bar across the center of a door in a small grocery store that is used to push it open (usually to exit the store.) Many companies promoted themselves on these push bars. I recall many bye-gone soda brands that have graced the push bars of my childhood memories. What do you remember? 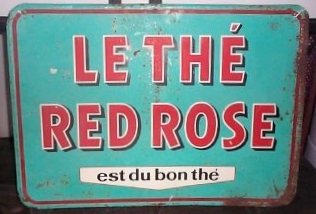 This image has been reduced to a thumbnail to save you time in loading the page. Click it to see the actual image. Once the large one has been viewed, click "Back" on your browser to return to this page.